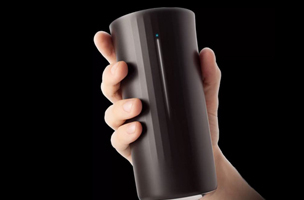 Vessyl is a smart cup that will tell you what you’re drinking in addition to what you’ve already had to drink. It’s a cup, but re-invented with computing technology and designed to perfection. Naturally, a smart device like this thermos-like cup hooks up to your smartphone, but it’s designed to work with other smart devices like the ever-popular activity trackers. If you’re not interested in purchasing a $99 smart cup, the team said it is working on other consumption-related devices. We think plates are in order! How does my Vessyl help me lose weight? Your Vessyl helps you understand how your “liquid calories” add up over the course of the day and week. [Warning: you might be surprised]. Instant real-time feedback will help you make the best decisions about what to do drink. And because good hydration is also helpful for weight loss, using the Vessyl to stay well hydrated may even lead to better food decisions too. How does my Vessyl help me stay hydrated? Your Vessyl will estimate your unique hydration needs and adjust them based on your activities and whereabouts. It helps you learn when in the day you need to pay more attention to hydration and lets you easily check how you’re doing meeting your hydration needs. How does my Vessyl help me stay sharp (caffeine)? Staying hydrated will help you improve your focus and concentration throughout the day. If you drink coffee, tea or other caffeinated beverages your Vessyl will also keep track of how much caffeine you’ve consumed. You’ll quickly learn how much caffeine you actually take in, how much is too much, and how you’re doing right now.